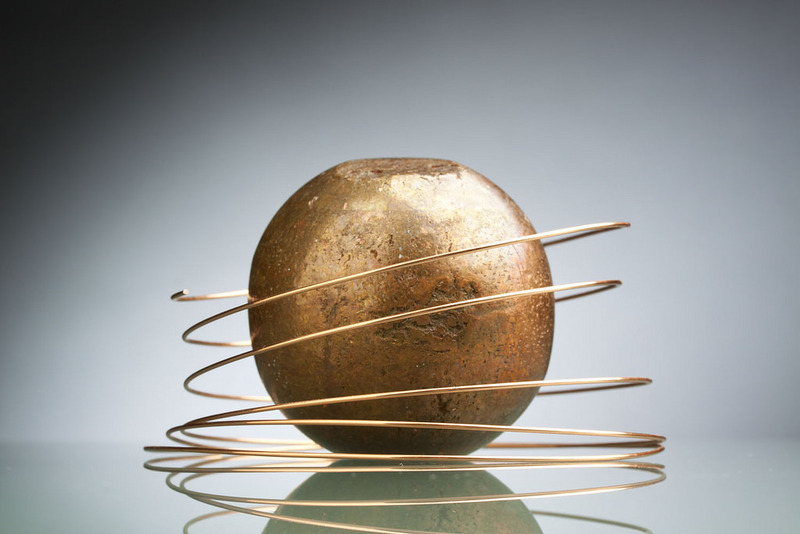 (Bloomberg) — “Everyone loves copper and everyone wants to buy it” has been this year’s mining mantra. Today the ball started rolling. Today the ball started rolling. China’s Zijin Mining Group Co. swooped on a huge undeveloped copper mine in Serbia, acting as a white knight to beat out an earlier hostile bid from a Canadian rival. At the same time, BHP Billiton Ltd., the biggest miner, snapped up a stake in one of the world’s biggest undeveloped assets. Glencore Plc also increased its exposure to the metal with a new offtake deal. 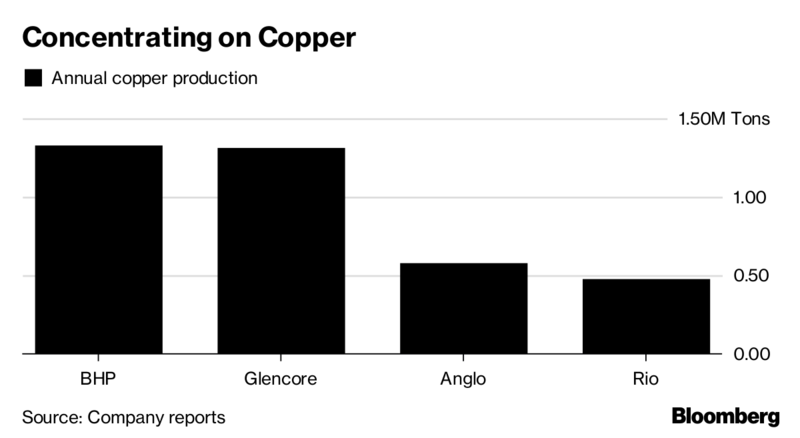 The world’s biggest miners have all spoken openly about their ambitions to increase exposure to the copper, even as prices slid into a bear market. They’re taking the long-term view that the increasing electrification of transport and cities will lead to growing demand, while new supplies of the metal are constrained. Bloomberg Intelligence sees the market in tight balance for the next two years and probably moving into deficit around 2020. Still, while there is desire to add more copper, there haven’t been many deals until now and the transactions today are relatively small. Many assets either aren’t up for sale or are in unattractive locations, said Liberum Capital Markets analyst Richard Knights. “Almost every large undeveloped copper body comes with very specific issues, from jurisdiction, being privately owned or already held by a major,” he said. “Almost every large undeveloped copper body comes with very specific issues, from jurisdiction, being privately owned or already held by a major." The biggest deal of the day was Zijin’s pact to buy Nevsun Resources Ltd. for $1.41 billion. Nevsun solicited interest following its rejection of a hostile takeover by Lundin Mining Corp., which had made repeated overtures. Nevsun, once a target for banker-turned-mining-fund-boss Lloyd Pengilly, controls the Timok copper-and-gold project in Serbia and the Bisha mine in Eritrea. Earlier today, BHP said it had bought a 6.1 percent in SolGold Plc for about $35 million. The miner has been pursuing SolGold for two years, but an earlier offer was rejected in favor of an investment by Newcrest Mining Ltd. SolGold is planning to develop the Cascabel project, which could become one of the world’s major copper mines, and has exploration ground across Ecuador. Also Wednesday, Glencore announced a $100 million offtake deal with Brazilian copper producer Paranapanema SA. It’s not just deals moving forward, but new mine developments too. Anglo American Plc gave the green light in July to start building its $5 billion Quellaveco copper mine in Peru. Smaller rival KAZ Minerals Plc has also recently unveiled plans for a new copper mine, paying $900 million for a deposit in Russia that could cost about $5.5 billion to build. Rio Tinto Group, perhaps the miner with the strongest balance sheet in the sector, has also openly talked about expanding in copper, although Chief Executive Officer Jean-Sebastien Jacques told investors last month that the miner had to be patient to avoid overpaying.